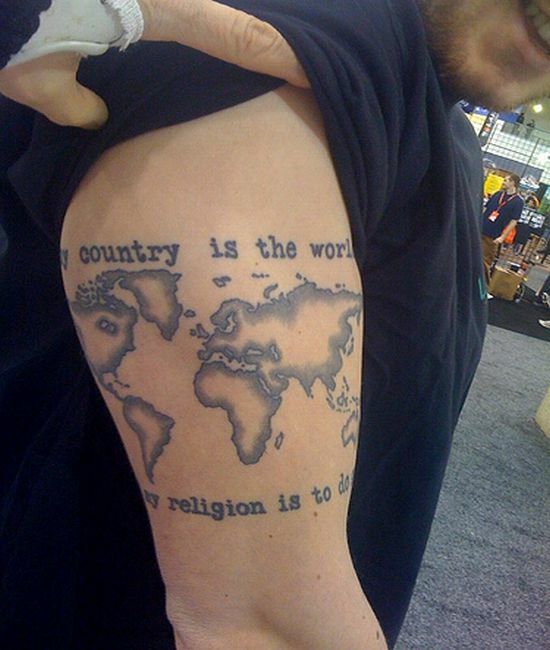 Ever thought of getting a geographical map inked on your body? Well, hereâs a tattoo fanatic who got the map inked on her arm with the quote reading âMy country is the world/my religion is to do good’. Now thatâs what you call true patriotism! ← Kim Kardashian gets inked!